L3001 – WaterSaver Faucet Co. Application: Floor mounted foot-operated valve for hot and cold water. Body: Forged brass with polished chrome plated finish. Valve Units: Self-closing renewable units with stainless steel valve stems. Pedals: Forged brass pedals mounted on hinged bracket. 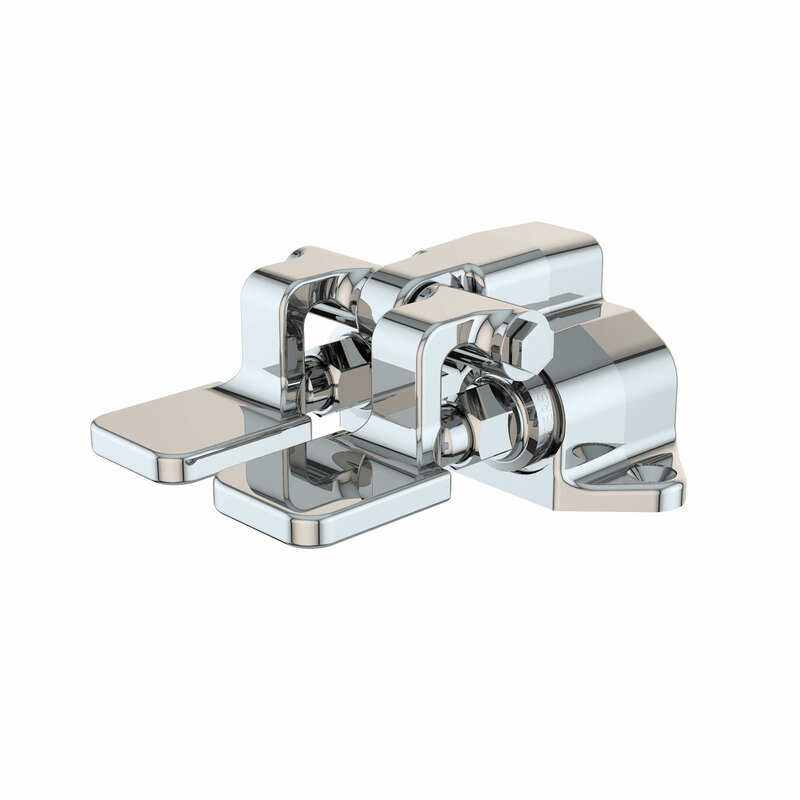 Inlets: (2) 1/2″ NPT female inlets. Outlet: 1/2″ NPT female outlet. Quality Assurance: Valve is fully assembled and factory tested prior to shipment. L3001LP Same as above except with extended pedals for ledge mounting.